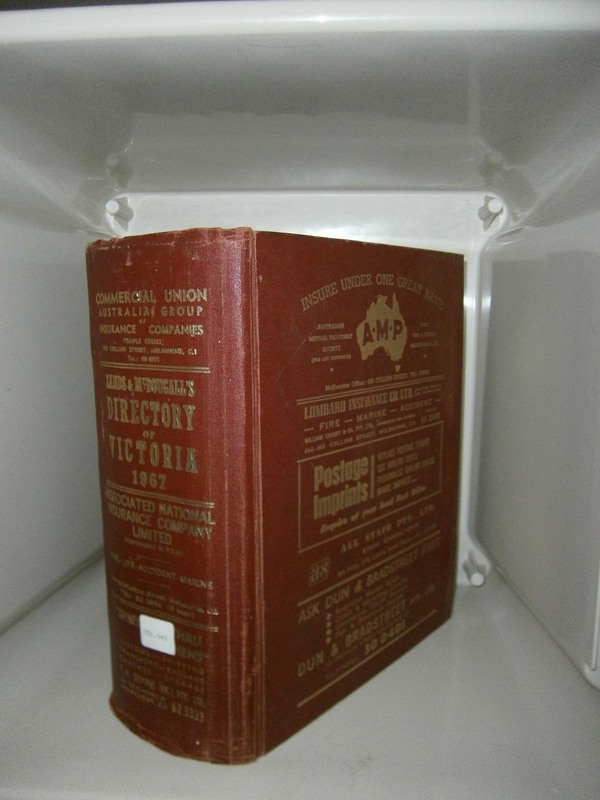 A great opportunity for people researching 20th century people and businesses in Victoria. It’s time to make some space at my overcrowded place so I’m moving on some of my research library. I can’t find any of these digitised – and we all know that the 20th Century is often the hardest for us to research so these are ideal. Any purchasers can collect them from Ocean Grove but they can also be posted – details provided on request. Three were posted in one box up to Melbourne recently so anything is possible. Another option – if you finalise arrangements in time, they could be collected from the Geelong & District stand at the 2015 VAFHO Expo in Seymour on 17th October, 2015. Obviously that would save all postage costs. GFHG Meeting April 24, 2019 at 7:30 pm – 9:30 pm Belmont Library, 163 High St, Geelong VIC 3216, Australia Presenter: Michael Menzies; Topic: Researching your Railway Families in Victoria. GFHG Meeting July 24, 2019 at 7:30 pm – 9:30 pm Belmont Library, 163 High St, Geelong VIC 3216, Australia Presenter: Kristen Thornton; Topic: Family History resources at the Deakin University Library (Geelong). Still some vacancies – Thursday 30th August 2018 – see you there?